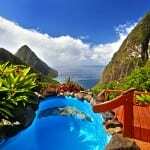 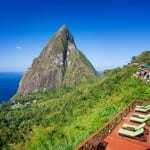 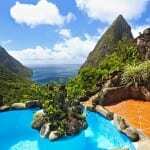 Located on the southern end of Saint Lucia, Ladera Resort sits on a forested ridge at 1,100 feet overlooking the volcanic Piton Mountains and the Caribbean Sea. 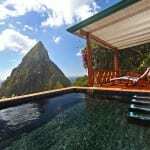 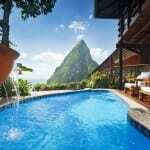 The 32 suites, each with a private pool, overlooking the famous Piton Mountains, the Caribbean Sea and the Soufrière valley. 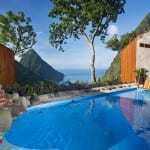 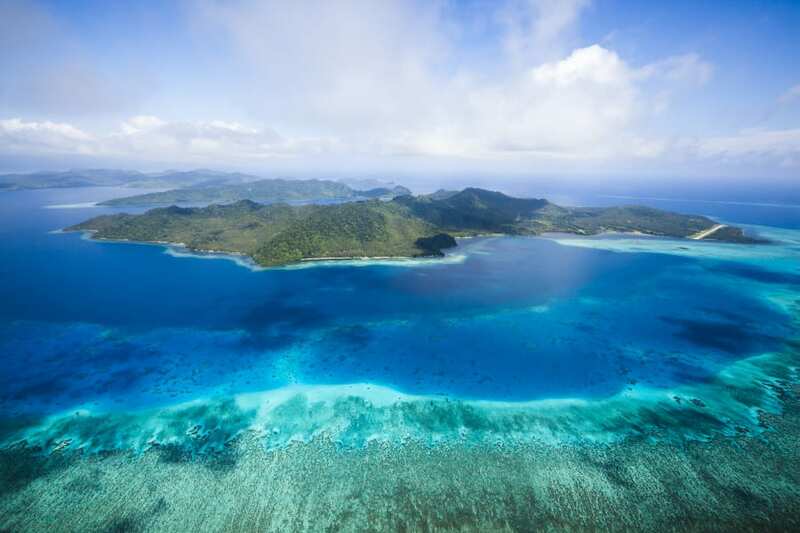 The suites were intentionally built without a fourth wall, and the design affords spectacular sunset views and unobstructed star gazing at night. 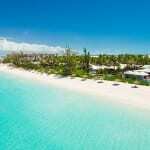 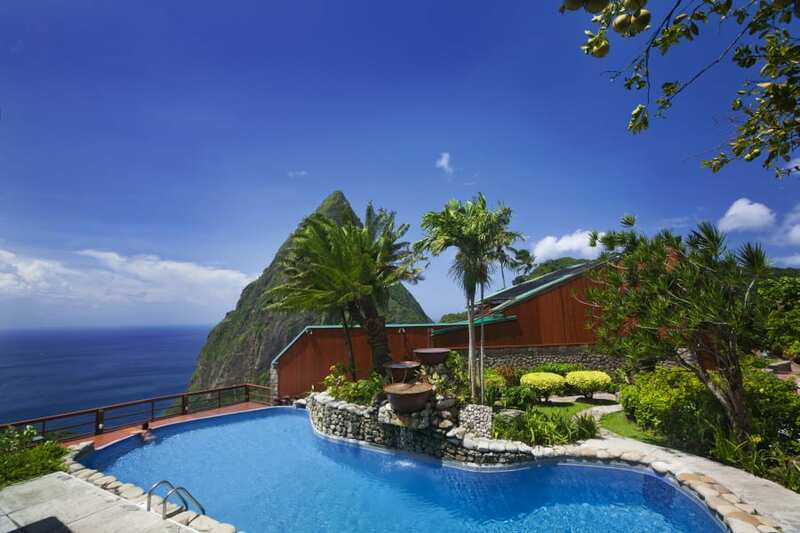 Seven luxurious Dream Suites complement the Piton Suites. 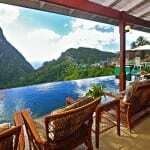 With two levels of living space, the Dream Suites also feature the famously unobstructed views and are designed in Ladera’s elegant tropical architecture, using polished hard woods, crisp white linens and colorful tile and stone work by local artisans. 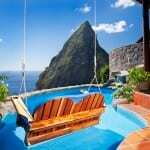 A private deck and a spiral staircase lead to a private pool. 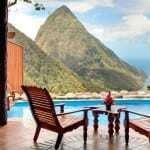 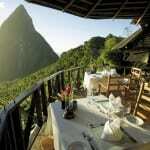 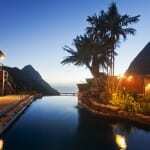 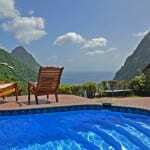 Rates starting with $475.00/night for Gros Piton Suite to $2,200.00/night for Villa at Paradise Ridge.